Painting for me is a way of living. The shady and delicate chiaroscuro color that flows from the brush to the silk, the forms fixed on the fabric and emerging from the soul are the miraculous events of my everyday life. Art for me is a vocation. With my creations, through my intimate feelings, I want to express the dazzling spiritual magic that springs up from nature. 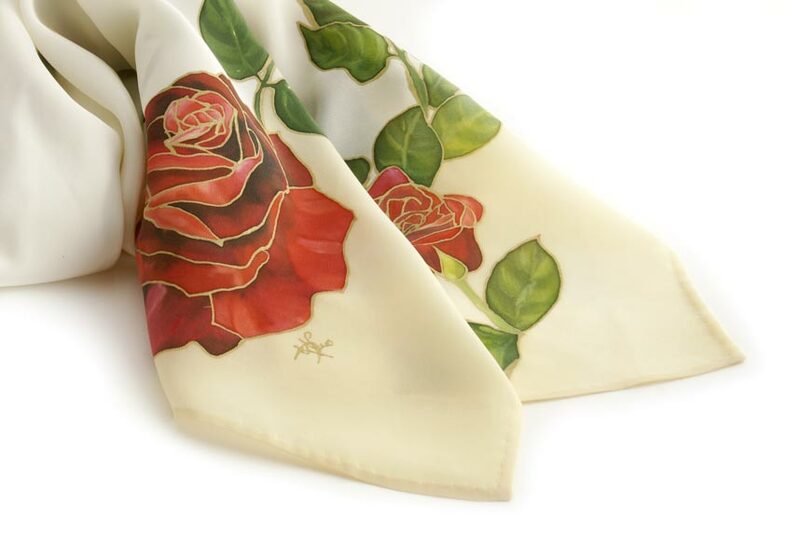 All these elements give birth to my works on silk, a magnificent support for its brilliant transparency. But not only. Even painting on canvas fascinates me, so I create well-defined depictions made by dense pigment. So, my hands bloom precious clothing and furniture accessories: scarves, sarongs, round neck foulard, tapestries and paintings. Unique pieces that flow from a genuine inspiration.